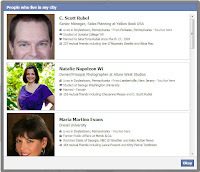 The PR Lawyer: Facebook Graph Search – Are You Ready? Big Brother is Watching You. 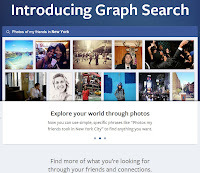 Facebook Graph Search – Are You Ready? Big Brother is Watching You. 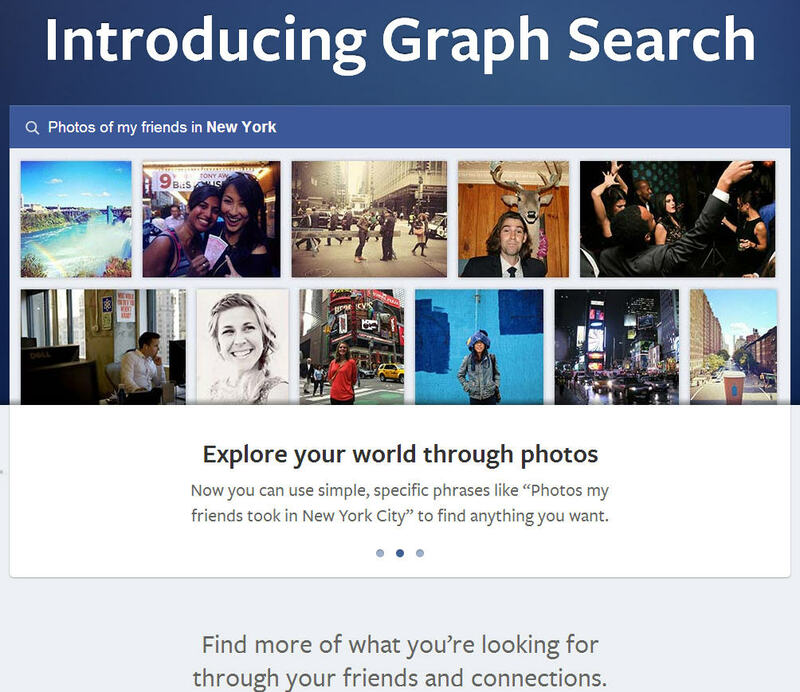 Facebook unveiled Graph Search, the latest approach to search for information on its social networking platform. The new functionality, i.e. "graph search" gives users the ability to search within their own social graph for specifics while asking questions in English – just like Apple’s Siri minus the voice command (which I’m sure is in the works somewhere at Facebook Central). Facebook was kind enough to run a sample graph search for me showing me other people in my network who live in the same hometown as me. Good thing that my husband was at the top of that list. Can you imagine if he showed up living somewhere else?! 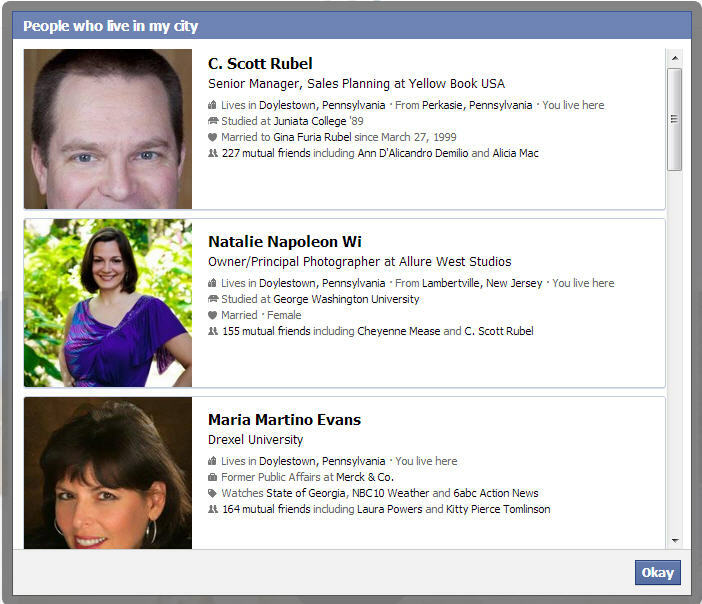 And a shout out to my friends, Natalie Wi and Maria Martino Evans ... you showed up in my sample search too. Since I travel quite a lot for business, I do like the ability to quickly filter a search to ask who lives in the city of my destination. I’m also thinking that this will be useful for planning family vacations. Recently, I asked, “Has anyone been to Yellowstone? Seeking suggestions for a family vacation.” With the new graph search, I could just say, “Have any of my friends been to Yellowstone?” Then, I could follow up directly for advice from others. Needless to say, Big Brother is watching you! How do you feel about it? I was on a waiting list for Facebook Graph Search until today so I turned it on (for better or for worse). What I didn't know until using it is how refined your searches can actually be. Take a look at the image below. 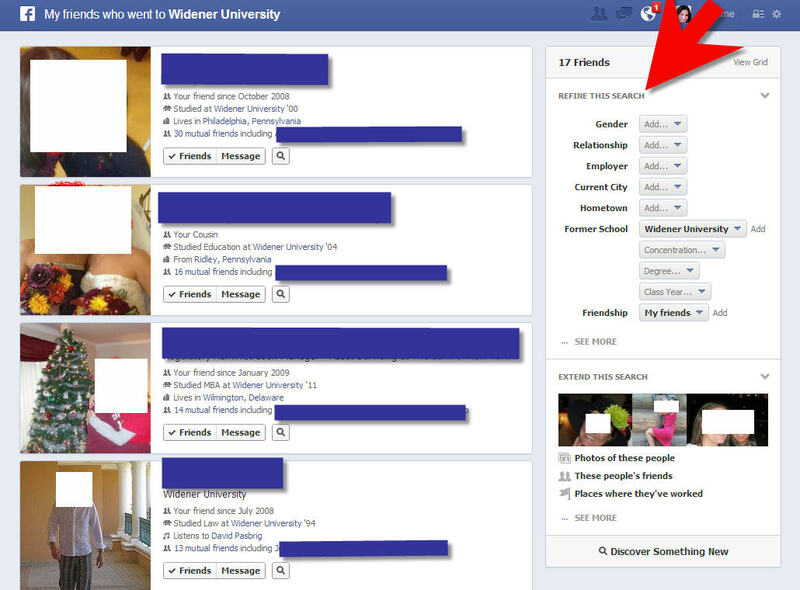 It's a screenshot of a search for "Friends who went to Widener University" - of course with all of their personal information redacted. I can then search further by gender, relationship, employer, current city, hometown and more. I can think of tons of valuable uses for this - especially for when I travel. Of course, for Facebook, it means more targeted advertising and higher revenues. For the rest of us, if we're going to play in the social media sphere, we just have to accept the fact that there's no such thing as privacy anymore.